In 2019, the focus on data is only expected to sharpen further. However, while Big Data plays a recurring role in the advancements of healthcare — artificial intelligence (known as AI), is the newest star of the buzz worthy show. Mentions of artificial intelligence are nearly inescapable in the healthcare space these days. In spite of the buzz and headlines around AI, implementation of AI is still early on, unlike other industries. AI is overcoming the initial sci-fi reputation of causing humans to lose their jobs because of smarter machines; computer algorithms are simply becoming an essential part of the daily applications and systems that encompass the evolution of modern technology. According to the Cleveland Clinic, a healthcare system well known for its annual forecast of emerging trends, went on the record to share that artificial intelligence will significantly impact healthcare in 2019. Consumers are optimistic that AI might play a role in clinical decision-making for serious conditions, and are willing to trust that algorithmic decision support will significantly assist in the high quality care and outcomes. 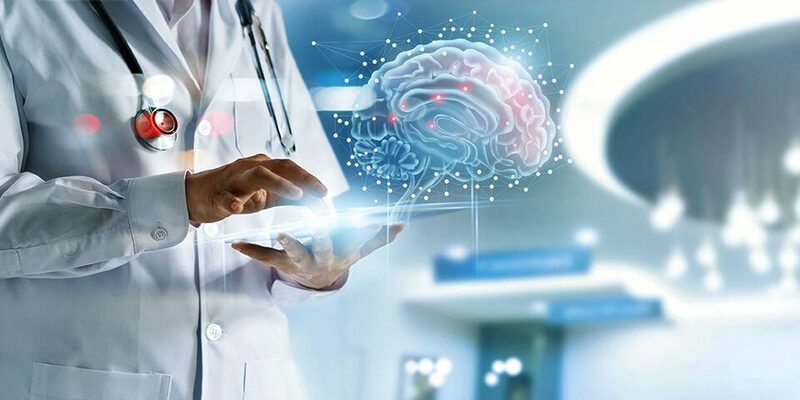 Over half of healthcare professionals in the United States feel that widespread adoption of machine learning is inevitable within the next five years, according to a recent survey by Intel and Convergys Analytics. AI applications are already being used in health systems to accelerate employee workflow, for billing and payment efficiencies, and in clinical care such as risk scoring, processing and interpreting large volumes of patient imaging diagnostics. AI applications are even receiving FDA approval for commercialization and sales. Moreover, developers of EHR are aggressively adding AI to their line of products, understanding that pioneering AI is an attractive selling point for organizations that want to secure a prime position in health IT. Similar to most powerhouse consumer tech companies that are responsible for our smartphones and search engines, larger health IT vendors see AI as an added tool to their tech arsenal. The goal is to create personalized, intuitive experiences for consumers, which has become a non-negotiable expectation for savvy technology users. This is the driving reason why AI is transitioning from being perceived as a job-slashing monster and on the contrary — is being accepted for what it is — innovative applications that healthcare professionals and patients are now depending on. AI being seen as ‘all the rage’ should simmer down in 2019 as the freshness wears off and developers face their task at hand, which is solving real problems in the clinical environment by crafting complex and reliable technologies. AI will have a bigger impact on healthcare over the next 12 months as will another emerging technology: virtual reality. Increasingly health systems, such as Cedars-Sinai in Los Angeles, are using virtual reality as an alternative to opioids and other forms of medication to help patients in pain. On the Cleveland Clinic top 10 trends list, virtual and mixed reality was listed as sixth. A particular use for virtual reality in 2019 is medical education. Healthcare is ever changing and we anticipate that technology innovations will only continue to expand over time. But, what we know for sure, is that 2019 will be the year of the consumer…not just the year of AI. A recent survey from NTT Data found that 59% of consumers expect their healthcare experiences to be similar to what they find in the retail sector. So much so, half of patients would actually leave their current healthcare provider for one that offers better technology options, more personalized interactions, and easier ways to complete administrative tasks. So as it turns out, not only is AI not a threat to creating personalized patient experiences — but on the contrary, it will be the fuel that helps keep patients happy and healthy.